The LearnQuest 2014 annual music conference was a momentous festival that brought musicians and music lovers together over shared passion for Indian Classical Music. The main conference on April 18, 19 and 20 was preceded by a series of free lecture demonstrations held at Government Center Building in Waltham, MIT, and Berklee College of Music on April 16, 17 and 18. On April 16, Smt. Aparna Balaji and Smt. Shuchita Rao compared Hindustani and Carnatic vocal traditions accompanied by Shri KVS Vinay on violin, Amit Kavthekar on tabla, Smt. Sarita Deshpande on harmonium and Shri Mali Santhanakrishnan on Mridangam. 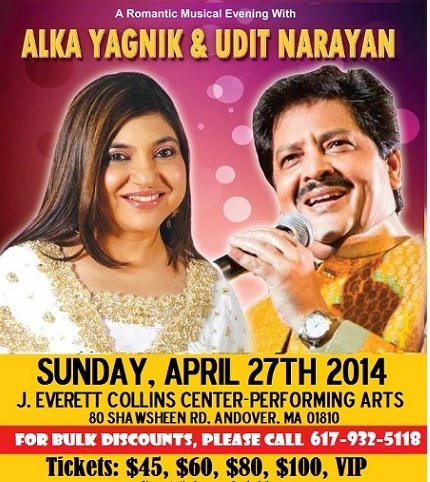 The two vocalists demonstrated ragas Hansadhwani and Hindolam(Hindustani Malkauns). They traced the history of the twin systems of music over several centuries, discussed genres, common as well as unique features, formats of concert presentation and also introduced the audience to stalwarts who popularized classical music. The accompanists took turns to describe the art of accompaniment and the challenges faced by accompanying artists. An interactive recitation of rhythm cycles(talas) was well received by the audience in the lec-dem that spanned 2.5 hours. On April 17, a lec-dem on classical dance form Kathak by Smt. Shambhavi Dandekar was very much appreciated by the audience, and on April 18, in early afternoon, Smt. Durga Krishnan and Sri Vinayak Sharma presented a very lively and informative lecture demonstration on the instruments veena and sitar respectively with Dr. Pravin Sitaram and Sri Nishikant Sonwalker accompanying respectively on the mridangam and tabla at Berklee College of music. They started with individual performances on the veena by Smt. Durga Krishnan who chose to perform a short alapana of raga Abheri and the kriti Nagumomu by St. Thyagaraja in the same raga for her solo. Sri Vinayak Shrarma chose raga Suddha Sarag for his solo performance to suit the afternoon time of the program. A very brisk mridangam and tabla solo captured the hearts of the audience who not only packed the recital hall but were sitting on the floor and standing wherever a space could be found. In the evening on Friday at Regis College, the main conference opened with an invocation to Lord Ganesha by Smt.Vandana Rao. The inaugural concert was by the famous Carnatic artists Smts. Ranjani & Gayatri with Sri H.N. Bhaskar on the violin and Sri Manoj Siva on the mridangam. The Conference saw its biggest audience for a Friday evening during this performance. 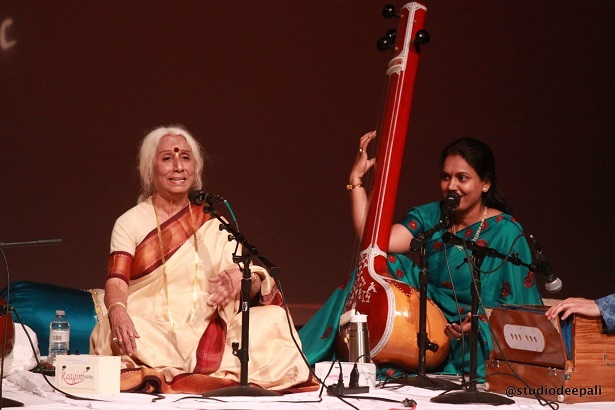 The sisters mesmerized the mixed audience of both Carnatic and Hindustani traditions by including several popular Hindustani ragas in their concert. They chose the raga Kamas for their RTP with a string of ragas (raga malika) during the swara kalpana segment. The concert ended with a marathi abhang in the Raga Lalith which was a request from one of the committee members. After the Ranjani & Gayatri concert, Smt. Sanhita Nandi presented khayals in Darbaari Kanada (known as emperor of ragas) marked by rich ornamentation and excellent taans. She followed it with a khayal in Raag Shankara and ended with a thumri which explored melodic movements in Khamaj, Jog, Nand and Jhinjhoti ragas. Saturday, April 19 began with an invocation “Swaagatham Shubha Swaagatham” rendered by young students of LearnQuest accompanied by Shri Rajesh Pai on tabla, Neil Pandit on flute and Rohit Rao on harmonium. Then the Saturday program started with a veena duet concert by our own local artists Smt. Revathi Ramaswamy and Sri Ram Naidu with the accompaniment of Sri Mahalingam Santhanakrishnan and Sri Ravi Iyer on the mridangam and ghatam. Though the allotted time for this morning concert was only 75 minutes, the artists managed to showcase all the elements of a successful carnatic concert such as a main piece in the raga Sankarabharanam (Ashayalinga vibho by Sri Muthuswamy Dikshidar) and a RTP in the raga Hamsanandhi (Rag Sohini is the counterpart in Hindustani tradition). The afternoon slot on Satuarday belonged to a saxophone concert by Sri Prashanth Radhakrishnan from California who has performed a few times at the conference in the previous years and was back by popular demand. His alapana of raga Hindolam (Malkaus) will stay with the audience for a long time.Sangeetha Kalanidhi, Padmabhushan Sri T.V. Sankaranarayanan (affectionately kown as TVS) performed a very memorable Carnatic vocal concert that took the audience on a nostalgic path. He elaborated the raga Karaharapriya and performed Thyagaraja's Nama Neeyeda as his main item that was followed by a string of popular short pieces known as 'thukkadas' in the Carnatic concerts. He was very skillfully accompanied on the violin and mridangam by Sri Tanjore Murugaboopathy and Sri Trichur Sampath. Among the Hindustani musicians, Pandit Rajesh Kandalgaonkar, disciple of Bharat Ratna late Pandit Bhimsen Joshi presented morning khayaals in Raga Todi and Gaud Saarang marked with structured, leisurely development using heavy aakaar taan ornamentation. He concluded with two beautiful thumris in ragas Pilu and Pahadi. Shri Aniruddha Deshpande on table and Shri Umesh Purohit on harmonium gave wonderful support. Pandit Kushal Das played on sitar tuneful and melodious ragas Bhimpalasi and Mishra Khamaj with forays into Jhinjhoti, Hansadhwani and Jaijaiwanti ragas. He ended with an emotional and expressive folk dhun in Mishra Shivranjani. Pandit Abhijeet Banerjee provided sensitive support on tabla marked by clarity and modulated improvisations that complemented the sitar performance. The famous duo from Benaras, Pandit Rajan and Sajan Mishra ended the day with a masterful rendering of khayaals in Nayaki Kanhra and Kamod. Rich imaginative melodic alaaps spanning three octaves and excellent delivery of traditional bandishes (compositions) marked the presentation. Pandit Ashis Sengupta provided solid percussion support and Shri Vyasamurty Katti on harmonium impressed with his subtle and competent accompaniment. The coup-de-grace, a bhajan in Pilu soaked in emotion brought tears to the eyes of the audience. The last day of the conference on Sunday began with a Ved Gaan in Sanskrit, composed and arranged by Smt. Preeti Chakravarthy, head of vocal department at LearnQuest was rendered by children as well as adult vocal students from LearnQuest. Pranav Ghatraju provided excellent tabla support. In the first concert of the day, Grammy award winner Pandit Vishwamohan Bhatt regaled the audience with not just alaap, jod, jhaala and gat in Nat Bhairav but also anecdotes, sounds of birds and a energetic jugalbandi with Carnatic flute artist Shri V.K Raman. Shri Nitin Mitta on tabla, Sri Vijay Ganesh on Mridangam and Sri Sowmiya J. Narayanan on ghatam provided action-packed support. Jyoti Joshi, a painter and artist from Norton, MA sketched in her notebook, a dancing Shiva with matted locks of hair while she heard the rendition of Nat Bhairav raga. “I can imagine Lord Shiva dancing a celestial dance” she said. The audience appreciated the exchange of musical conversation between table, ghatam and mridangam in thaani-avarthanam section and also the rendering of well-known bhajans, Raghupati Raghav Raja Ram and Vaishnava Jana Tho at the end of the jugalbandi performance. Young and upcoming Carnatic artist Sri Saketharaman gave an exemplary vocal concert in the afternoon on Sunday. His alapana of the raga Charukesi brought tears to the audience members. He followed that with an elaborate alapana of raga Kapi and presented St. Thyagaraja's kriti Indtha Sowkyamu as his main piece. He was accompanied on the violin by Smt. Akkarai Subbalakshmi and on the mridangam by Sri Neyveli Narayanan. Saketharaman ended his concert with a thillana by his Guru Sri Lalgudi G. Jayaraman in the raga Kamas. A delightful Kathak performance by Smt. Shambhavi Dandekar was a hit with the audience. The charming dancer dressed in a majenta lehanga presented Uthaan, Thaat and Padhant with pleasing layakaari. She emoted to a song in Kannada that told the story of baby Krishna who was crying because he had hurt his little finger. The dramatization of the story of Yashodhara, wife of Gautam Buddha set to a poem by Mythili Sharan Gupta was full of emotion and feeling. The finale of the Kathak recital was the demonstration of spontaneous exchange of ideas with live orchestra – Shri Aniruddha Deshpande on tabla and Shri Umesh Purohit on harmonium. After the Kathak dance, the evening audience got a chance to pay a tribute to the well-known violin maestro Padmabhushan Sri Lagudi G. Jayaraman who passed away exactly a year ago. The tribute included a short speech by Dr. David Reck who is a retired professor from Amherst College and a short documentary on the life and contributions of the violin legend. This was followed by a violin duet concert by Sri Lalgudi G.J.R. Krishnan and his sister Smt. Lalgudi Vijayalakshmi. They started the concert with a varnam in the raga Bagudhari and ended with a thillana in the raga Yamuna Kalyani by their father Sri Lalgudi G. Jayaraman. They presented a RTP in the ragam Nasikabhushani and included several ragas in the ragamalika part. This concert once again took the audience in a nostalgic path reminding them of the concerts by the violin maestro. For the grand finale of the conference, Swaryoginee Dr. Prabha Atre was presented by a Lifetime Achievement Award on behalf of LearnQuest Academy of Music by Smt. 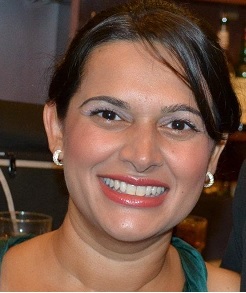 Suraja RoyChowdhury. The grand dame of Kirana Gharana presented khayals and taranas steeped in virtuosity in ragas Jogkauns, Bageshri, Madhurkauns and also a dadra in Carnatic raga Kanakangi and a bhajan in Bhairavi dedicated to Goddess Durga. Tabla support by Shri Vikas Naregal, harmonium support by Shri Kedar Naphade and vocal support by Chetana Banawat were noteworthy.